Want to cash in on these benefits? We got Reames and Avruskin to provide their favorite drills. Do them twice a week (with two to three days rest in between), depending on your goals. “If you’re a tennis player, you can do them in place of your cardio workout,” says Reames. “However, if your goal is weight loss, you’ll want to supplement your cardio workout with these.” Get started now—and you should see increased speed, power, endurance and stamina after only a week. Beyond the burn: This drill will also help you increase your speed, agility, quickness, stamina and endurance, says Reames, plus it’s great for sports that require the ability to accelerate and decelerate quickly, such as soccer and football. How to do it: Start with your right side facing the end of an agility ladder (or set up your own grid by placing straight markers, like pencils, or strips of paper, on the ground approximately 18 inches apart about for 10 yards out). Stand on your right leg. Jump sideways into each box down the line staying on the same leg until you reach the end of the ladder. Switch legs to go back down the ladder to the starting point. Land lightly on each foot, and keep the heels off the ground. How to do it: Perform this on any type of step approximately six inches high. 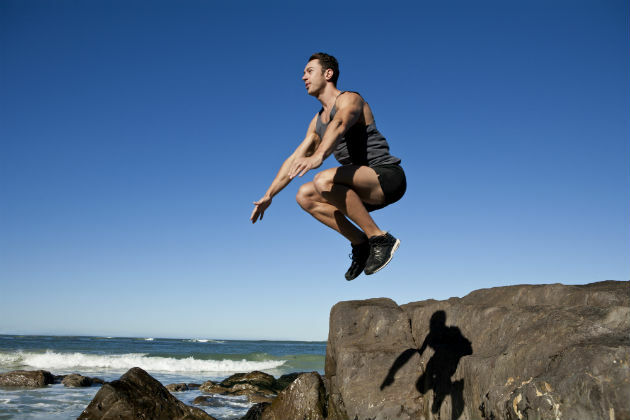 Simply alternate stepping up and down on the step as fast as you can for 30 seconds, increasing the time to 60 seconds per set as you progress. Switch your lead food halfway through your set amd repeat each set three to five times.